Take the NJ Turnpike South to Exit 9, and follow signs for Route 18 North. Continue on Route 18 North for approximately 2.5 miles, and exit at New Street. Follow the ramp and make a right at the traffic light onto Neilson Street. Make the 4th left onto Church Street. Once on Church Street, there is on-street parking available in addition to the Church Street Parking Deck. From the parking deck, walk a 1/2 block up to George Street (opposite direction than to Hyatt). Make a right on George Street and continue down the block to the corner of Albany and George Streets. Cross George Street. NTI is located in the Albany Street Plaza building on the corner of Albany Street and George Street, in Tower Two, Suite 250. Wells Fargo Bank is on the first floor. You can enter the building from George Street (across from Starbucks) or Albany Street. Take the NJ Turnpike North to Exit 9, and follow signs for Route 18 North. Continue on Route 18 North for approximately 2.5 miles, and exit at New Street. Follow the ramp and make a right at the traffic light onto Neilson Street. Make the 4th left onto Church Street. Once on Church Street, there is on-street parking available in addition to the Church Street Parking Deck. From the parking deck, walk a 1/2 block up to George Street (opposite direction than to Hyatt). Make a right on George Street and continue down the block to the corner of Albany and George Streets. Cross George Street. NTI is located in the Albany Street Plaza building on the corner of Albany Street and George Street, in Tower Two, Suite 250. Wells Fargo Bank is on the first floor. You can enter the building from George Street (across from Starbucks) or Albany Street. New Brunswick is on the NE Corridor Line of the NJ Transit rail system. Exit the New Brunswick train station and cross Albany Street (Albany Street runs directly in front of the train station). Continue left toward the Albany Street Plaza (The restaurant Roosterspin is on the corner). 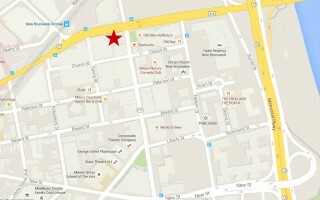 NTI is located in the Albany Street Plaza, Tower Two, Suite 250. Take Route 287 to Exit 10 (New Brunswick/Easton Ave.). Follow Easton Ave. for approximately 7 miles until it ends at Albany Street. Turn left onto Albany Street. Go through the light at George Street. At the next traffic light, turn right in front of the Hyatt. Make the first right onto Church Street. Once on Church Street, there is on-street parking available in addition to the Church Street Parking Deck. 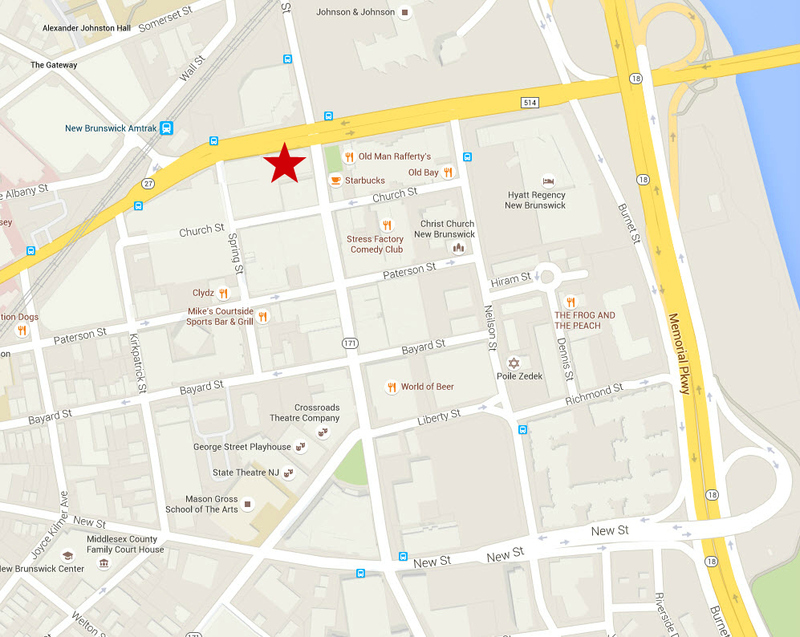 From the parking deck, walk a 1/2 block up to George Street (opposite direction than to Hyatt). Make a right on George Street and continue down the block to the corner of Albany and George Streets. Cross George Street. NTI is located in the Albany Street Plaza building on the corner of Albany Street and George Street, in Tower Two, Suite 250. Wells Fargo Bank is on the first floor. You can enter the building from George Street (across from Starbucks) or Albany Street.